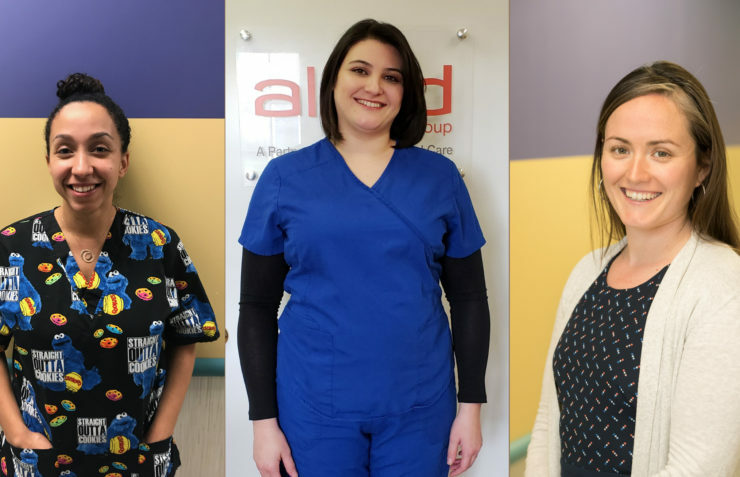 Congratulations to Peconic Nurses, Adrienne, Maria, and Megan! Congratulations to Peconic Pediatrics’ nurses Adrienne Grossman and Maria Perez who are now both Certified Breastfeeding Counselors and Megan Hays who is now an International Board Certified Lactation Consultant (IBCLC)! At Peconic, we are dedicated to helping every mother meet her own personal breastfeeding goals and having Megan, Adrienne, and Maria as part of the support team is a great resource! To schedule a lactation consult with Megan, just give the office a call. And don’t be surprised if Maria or Adrienne call to check in on you as they are now making outreach calls to all of our new moms to answer questions and support you on your journey. Give us a call if you’d like to schedule an appointment or if you have a quick question! For more information about our services, click here.